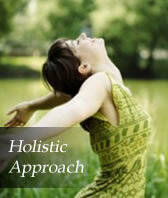 Holistic Psychiatry is the art and science of healing that addresses care of the whole person, body and mind. The practice of holistic medicine integrates all available methods to achieve optimal health, beauty, happiness, productivity and vitality. We help our patients achieve wellness by integrating expert psychopharmacology correction of vitamin and hormonal insufficiencies, and life style guidance. At CAGP, we see each one of our patients as a unique individual, rather than a collection of symptoms and complaints. Mental distress is understood to be the result of physical, emotional, social and environmental imbalance. At CAGP, we are open to help our patients in all aspects of their life and health: productivity, mood, sleep, happiness, sexuality, appetite, weight, beauty, relationships, parenting, drugs, smoking, alcohol, anxiety, phobias and fears. At CAGP, we do not have a narrow therapeutic focus or an agenda, but rather we let our patients assign the priorities in their journey to wellness. All appropriate methods may be used, from medications and TMS to psychotherapy and life style change. At CAGP, we take special pride in offering our patients the most modern methods of treatment. 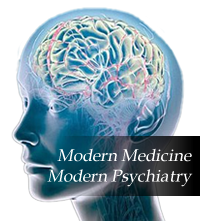 In the field of Psychiatry, there are dozens of major reputable scientific journals published monthly world-wide, resulting in hundreds of important articles per year. At CAGP, we encourage our patients to ask us questions about their treatment. We love educated consumers who take special interest in their health and conduct their own internet health research. To interested patients, we gladly provide articles from recent publications, which address their individual dilemma. At CAGP, we always inform our patients of all available FDA-approved treatment methods. For patients who could not find sufficient help with FDA approved treatment methods, we are happy to provide information on all treatment alternatives. Dr. Raj’s patient-centered approach extends to all aspects of our care. Our receptionists are cordial and pleasant; our schedule is respectful of patients’ time; our office is soundproofed and well decorated. We always call back in a timely manner and Dr. Raj is available for phone consultation in-between appointment times. We gladly take an extra step to deliver good care. Our patients can count on us to interact on their behalf with insurance companies, pharmacies, family members, employers, hospitals and other health care providers. 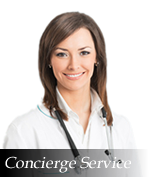 We coordinate our efforts with other medical providers, assist with any referral and order needed work up. Whenever necessary, we write letters, fill out forms, speak to lawyers and communicate with authorities. Our services are discrete and confidential, but upon request, Dr. Raj is ready to help.